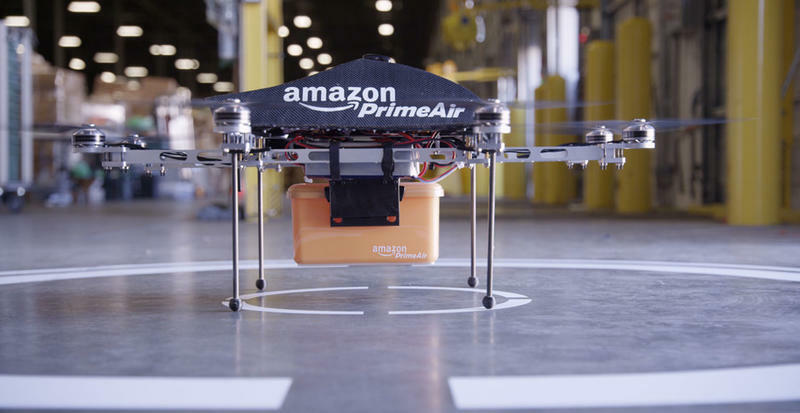 Amazon CEO Jeff Bezos recently explained to 60 minutes reporter Charlie Rose his vision for the future of fast Amazon delivery: Drones. Dubbed “Prime Air” by Amazon, these fully autonomous drones will be able to deliver a package to homes within 30 minutes of purchase. 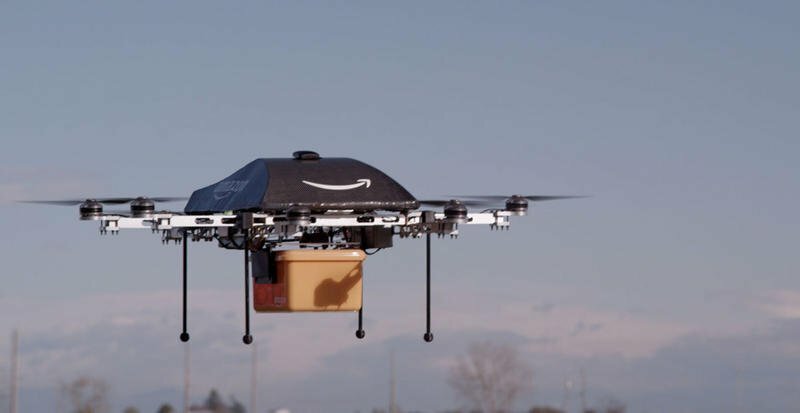 Bezos has said that Amazon is currently safety testing and finalizing its R&D developed octocopter drones, and barring any interference with the FAA, they should be delivering packages to your front door in 4-5 years. Regulations that Amazon must follow are being researched for its presentation. Charlie Rose best exclaimed the entire world’s reaction on his segment by exclaiming, “Oh, my God!” once Bezos revealed Amazon’s latest secret to him. The drones are able to lift up to five pounds, so naturally only small purchases like handheld devices and physical media will be able to take advantage of the speedy times. They can also travel 10 miles from any Amazon distribution center, covering a large percentage of the country’s population with so many located near urban areas. It’s a downright audacious idea that Amazon no doubt has a lot of kinks to work out. Theft of a drone, weight of the packages, insurance from anything falling or being fallen on, getting support of the FAA. Still, if Amazon is able to pull this off, it will be one step closer to all of our wildest science fiction dreams coming true.